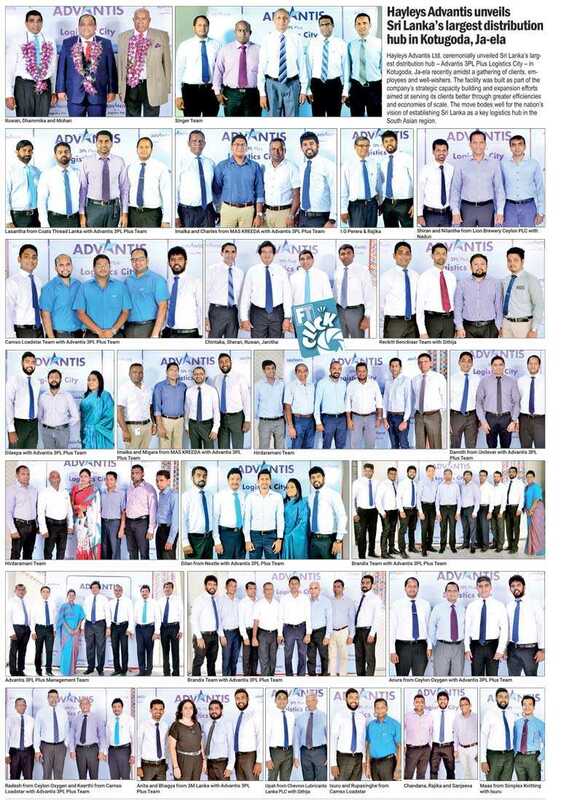 Hayleys Advantis Ltd. ceremonially unveiled Sri Lanka’s largest distribution hub – Advantis 3PL Plus Logistics City – in Kotugoda, Ja-ela recently amidst a gathering of clients, employees and well-wishers. The facility was built as part of the company’s strategic capacity building and expansion efforts aimed at serving its clients better through greater efficiencies and economies of scale. The move bodes well for the nation’s vision of establishing Sri Lanka as a key logistics hub in the South Asian region.